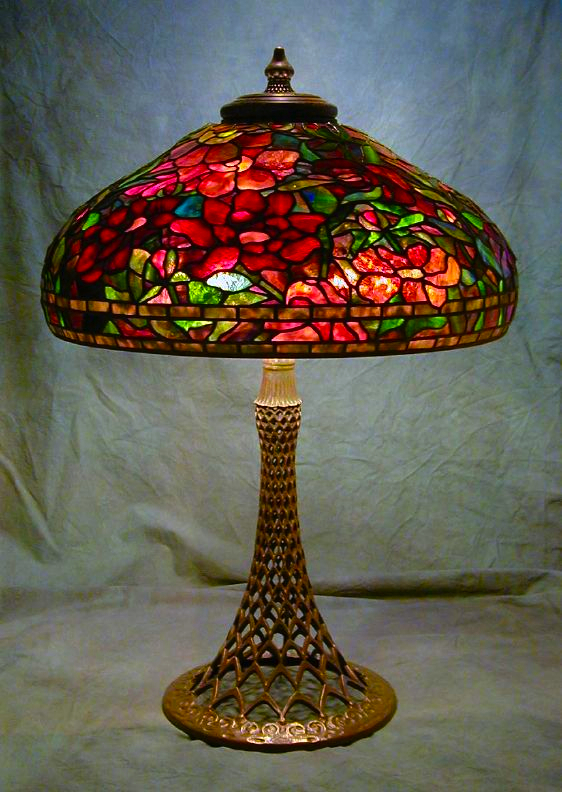 The 22″ Peony is a classic Tiffany Studios lamp design. This generously proportioned shade can be created in colors that are light an airy, or deep and brooding. The saturated color palette or this shade has flowers in deep red, rust, and intense pinks set against a multicolored background with blue, green, and dark amber. 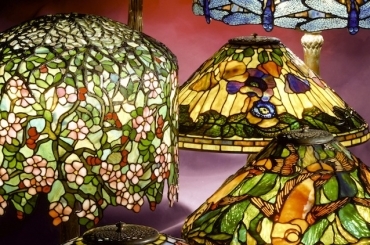 In keeping with the lush coloration of the shade, the borders are a deep amber glass with hints of green. The shade is shown on the elegant Arc base. We were commissioned to create this example in 2001.